Back in 2014, AXA launched the Alliance for YOUth partnership with Nestlé and other major European companies. Since then, the Alliance has provided training and jobs for 115,000 young Europeans. 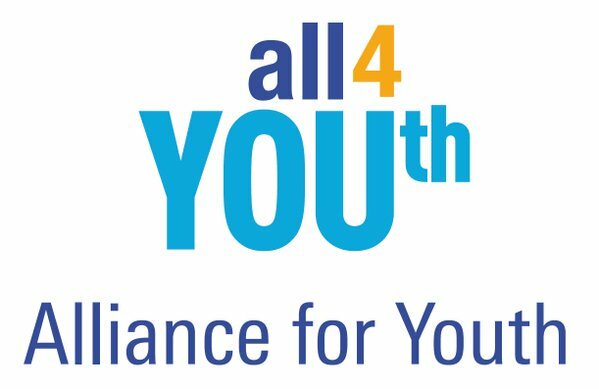 In a meeting at the European Parliament on 15 November, the Alliance for YOUth pledged to double their efforts and create 230,000 new opportunities for young Europeans between 2017 and 2020. “We have member companies in 23 European countries who not only provide jobs and training, but also work together with authorities and schools to create new opportunities,” says Luis Cantarell, Executive Vice President for Nestlé. “We have become true ambassadors of youth employment”. Since launching an extensive apprenticeship programme three years ago, AXA has produced some excellent results with our apprentices 25% more likely to be retained and 35% more likely to achieve promotion than their non-apprentice counterparts. This reinforces our belief that those applying to our apprenticeship programmes have a stronger focus on their development and progression, they stay longer, progress faster, perform better and are more engaged. The event on 15 November involved the European Commissioner for Employment Marianne Thyssen, several members of the European Parliament as well as youth organisations, representatives from the Alliance for YOUth companies and the education sector. Speaking at the debate, European Commissioner for Employment Marianne Thyssen said: "The Alliance for YOUth shows how investing in youth is also good for business. I am very pleased that it is stepping up its efforts with a new commitment under the European Alliance for Apprenticeships to offer 230,000 new placements to young people in Europe to secure their first foothold in the labour market. These alliances are making good headway to boost the employability of young people through quality apprenticeship and work opportunities." The success of the Alliance for YOUth has inspired companies to roll out youth employment initiatives worldwide.